Intentional Vagabond is an executive coaching service that trains CEOs, CFOs, CIOs, and other upper-level executives to challenge, question, and constantly seek to improve their company mission. The goal is to advise company’s in a way that will make them the best they can be. 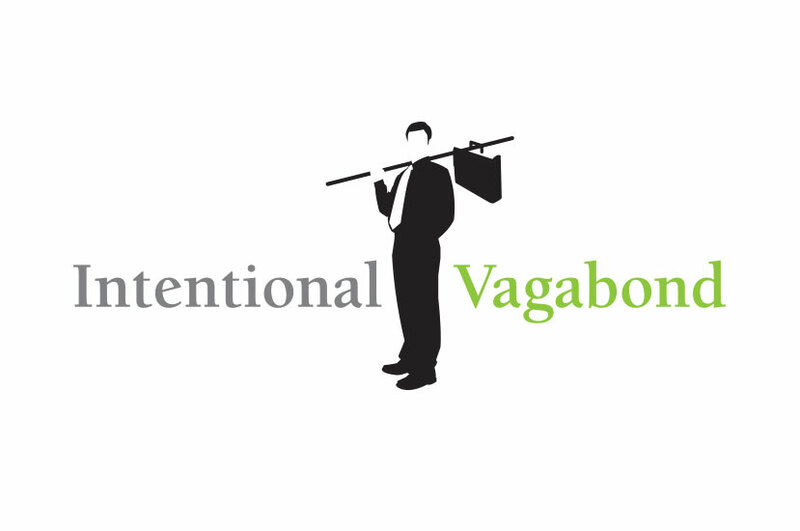 The Intentional Vagabond logo features a silhouetted businessman to represent the idea of company representatives meeting with upper level executives in their place of business. This figure has a fun twist by replacing the traditional vagabond sack with a briefcase. The logo is fun and lively without compromising the company’s professionalism. The pop of color helps identify the logo and ensures that it will stand out amongst competitors.